The Dian Fossey Gorilla Fund International and the Ellen DeGeneres Gorilla Fund yesterday laid a foundation for the multi-million dollar Ellen DeGeneres Campus of the Dian Fossey Gorilla Fund. The ceremony took place in Kinigi, Musanze District. 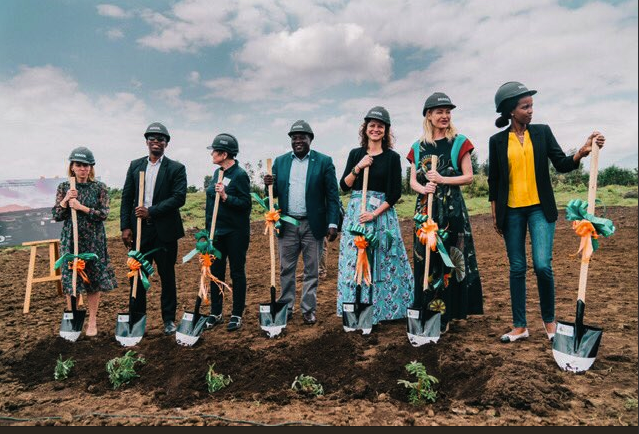 The ceremonial ground breaking for the construction of a new science and education campus on a parcel of five hectares in Kinigi Sector aims to support the Dian Fossey Gorilla Fund International’s on-going conservation and education work in Rwanda. The construction of the campus is expected to take two years. Construction of the campus will create an estimated 1,500 jobs (with 40 percent of the workforce being female) and $2million will be spent on local labor. In addition, an estimated $2.5 m will be spent on locally sourced materials. “The success of this strategy has been proved by the fact that both gorilla numbers and gorilla tourism receipts have increased. The 2016 gorilla census in the Virunga Massif revealed a 26% increase in the number of individual gorillas from 480 to 604 in a span of five years. In 2017, Volcanoes National Park received more than 35,000 visitors who directly generated $16.75 million. 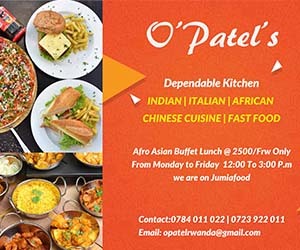 Gorilla conservation and tourism has not only benefited hoteliers, tour operators, guides as well as the entire economy overall; but it has played a significant role in bettering the lives of the communities living adjacent to the Volcanoes National Park. This multi-million-dollar campus is not only evidence of Rwanda’s conservation credentials; it is also proof that this country is a great investment destination. Last year, Rwanda registered over 2 Billion US dollars in investment. This is unsurprising. After all, we are the 11th safest country in the world and the 29th easiest place to do business in the world; the only low income country in the world to be ranked in the top 50. At RDB, we are also focused on increasing the capacity of our work force; that is why we are particularly pleased by the fact that this campus will not only be training the next generation of Rwandan conservationists, but there will also be skills transfer during the actual construction of this campus”. “We would like to reiterate RDB’s whole-hearted support for this project, as it demonstrates both the Dian Fossey Gorilla Fund International and Ellen DeGeneres Wildlife Fund’s ongoing commitments to conservation and education in Rwanda, helping people and saving mountain gorilla in Rwanda”, she concluded. Since 2005, the Government of Rwanda instituted the Revenue Sharing Program where 10% of all parks revenues are invested back into the community; resulting in 647 community-based projects nationally with an estimated value over $6 million USD. The program has provided housing, schools, health clinics and clean water for communities living in the 4 Districts surrounding Volcanoes National Park.